is the soil density (e.g. 80 lb/ft^3). is the acceleration of gravity (e.g. 32.2 ft/s^2). 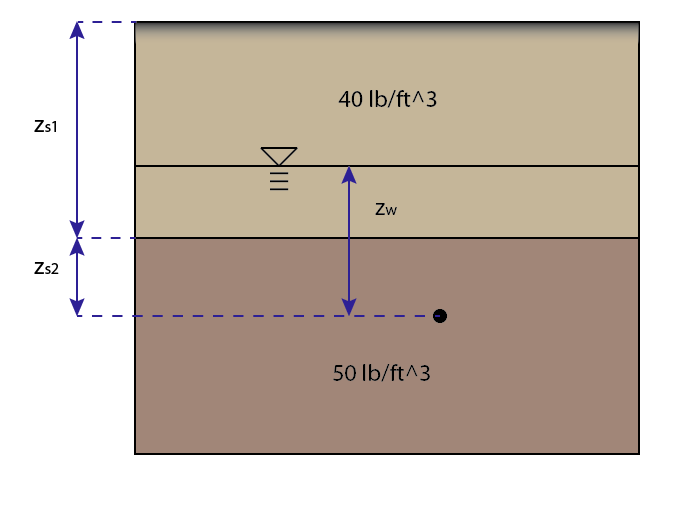 is the distance of the surface, or beginning of the soil section, to the point you are considering(e.g. 10 ft).